Apple seeded first developer beta of upcoming iOS 12 latest firmware in WWDC18. Unexpectedly, iOS 12 jailbreak has already been successfully achieved by the hacker. 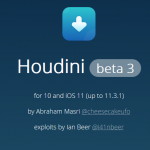 Here’s all you need to know about Houdini jailbreak update for iOS 12. 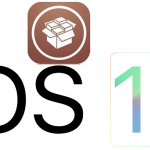 Abraham Masri, the developer of Houdini semi jailbreak for iOS 11 – 11.3.1 and iOS 10 has successfully achieved iOS 12 jailbreak. 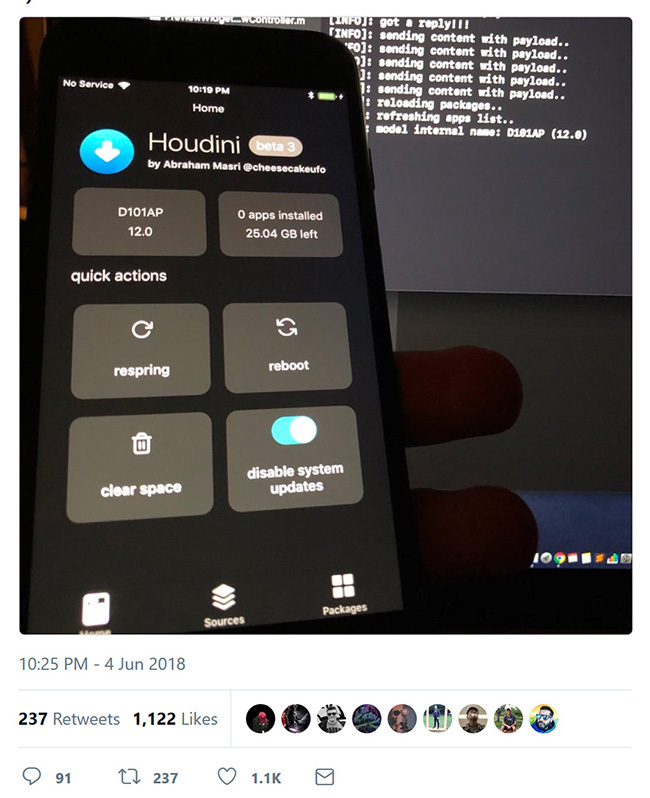 He tweeted a photo of Houdini jailbreak on iPhone 7 device running iOS 12 latest version. 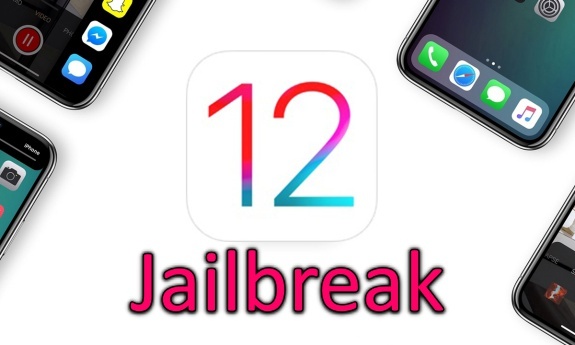 Apple is considering the iOS 12 as a Stability and Performance based update means iOS 12 jailbreak is not easy. But, Abraham Masri has proven that iOS 12 is also jailbreakable. However, the exploit that used to jailbreak iOS 12 is not very powerful and it only allows Houdini to write anything outside the sandbox but not read. but it is great achievement and now we know iOS 12 jailbreak development has already started. iOS 12 still on developing stage. Apple will continue testing & securing iOS 12 as much as possible. Meanwhile, hacker are working hard to liberate iOS 12 with proper jailbreak solutions. Wait and see, until Apple releases the first public version of iOS 12 and let’s hope up that the iOS 12 jailbreak will alive at the time.